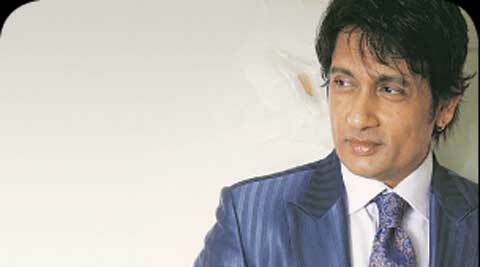 Shekhar Suman on turning director with Heartless, a film based on a rare medical condition. I have followed the works of directors such as Guru Dutt, Bimal Roy, Raj Kapoor, Gulzar, Sanjay Leela Bhansali and Raju Hirani, among others. After staying in front of the camera for years, one needs a change. And I think this is the next logical step for any actor who wants to grow. Just being in front of the camera and doing the same thing over and over kills one’s excitement unless one doesn’t branch out, evolve or take a few steps. I think filmmaking offers ample liberty to experiment with one’s talent. And you realise that you are now becoming a creator after having taken instructions from directors for many years. As a director, everything was new for me. So one of the biggest problems was to sell the film because I realised that if one has a newcomer as an actor and newcomer as a director in the same film, then nobody is willing to buy the film. But once they buy it, you have to listen to them. But I thought if I have the confidence in making a film, I would not like any creative interference. So I produced the film myself. It was challenging to make the film within a certain budget and yet not make it seem like a small-budget film. We filmed in locations in Dubai except some patch work in Mumbai, but we managed to shoot in the budget that we had settled on. A song, which forms the title track of the film, cost a lot since it involves a lot of VFX work. I encountered a lot of difficulties in selling the film to a big studio but then I realised that if it’s my baby then I should have the confidence to market and distribute the film. While looking for a subject for the film, I was intrigued by the concept of “anaesthesia awareness”. I had heard of the term from my father who is a doctor, so it was natural that I make a romantic thriller with a medical background. Though the film is not entirely about anaesthesia awareness, it forms a part of the story. The plot revolves around the relationship between a mother and a son and I cannot reveal anything beyond that, as it would take away the surprise element. Though it took me a year to get the whole script in place — it was written by Nina Arora (writer of Page 3) — it took another year to complete the film (which includes shooting and post-production work) since it has many computer graphics. Everybody knows what anaesthesia is, but there are few people who stay awake and conscious despite being administered anaesthesia. Though they cannot move or react, they can hear sounds, and experience pain. My favourite scene in Heartless comes towards the end between the mother and the son, when the son walks away reciting a poem on the importance of a mother. I have many inspirations as a director. I have followed the works of directors such as Guru Dutt, Bimal Roy, Raj Kapoor, Gulzar, Sanjay Leela Bhansali and Raju Hirani, among others. Roy, for instance, made socially relevant films and Heartless too has a social message. A film should emotionally connect with the audience, should keep playing in their mind long after it is over and that’s what Roy and Dutt did. You remember their films even 40-50 years later, because of their content and social relevance. I am working on my next film now. The title is called The Last Lover and it is a romantic film set against the backdrop of the mafia.